SURPRISE! BIXI's 10th season will start 5 days earlier this year. With a new season comes lots of new features. Learn more about the new advantages of being a Bixist. 1. 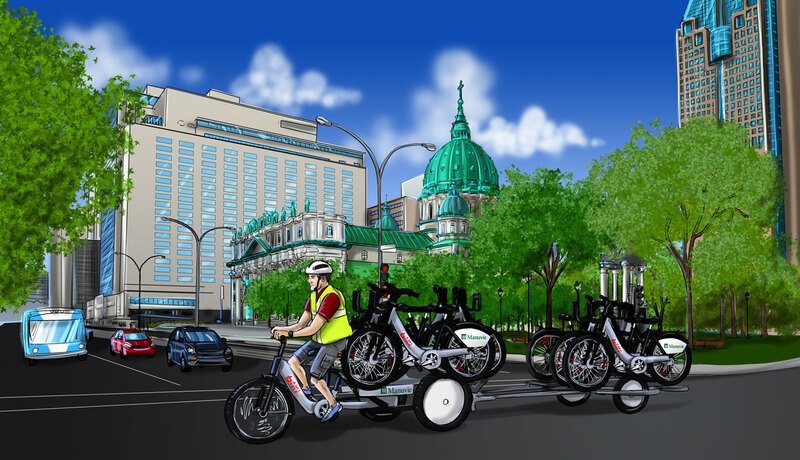 Free BIXI Sundays offered by Manulife are back for a third year in a row and will take place on the last Sunday of the month from May to October. Come out and discover BIXI with your family and friends! 2. A new discounted rate of $2 per trip to full-time students and citizens of 65 years and up who are registered on the BIXI platform and have an OPUS card with photo. 3. We also have a new package deal: “BIXI à la 10.” It's a pack of 10 one-way passes for only $25. 4. The BIXI management will also be evaluating the possibility of implementing electric bikes. More details to come. 5. This season, BIXI will be implementing a new eco-friendly, fast and efficient system for redistributing the bikes, called “BIXI-Trailer.” Two tricycle trailers will be used to easily transport the bikes in areas that are difficult for the BIXI trucks to access. An exceptional season awaits us. Have a great 10th season!